We are a full service design and construction management firm. We handle turnkey projects for single family homes and multi-family residential properties with the design choice, budget and lifestyle of our clients in mind. We have a team of dedicated designers and site engineers to take our project from concept to completion with attention to details on workmanship and quality. Each of our project stands apart in the sense of appealing architecture and custom design and every effort to keep to the timeline and the budget of the clients. We create dream kitchens and baths, along with custom cabinetry, wall units, closets, functional laundry rooms, enchanting media rooms, bars, finished basements, patios and more. We handle renovations right from tile work, plumbing, painting, landscaping, exterior cladding, coutertops, electrical work etc. 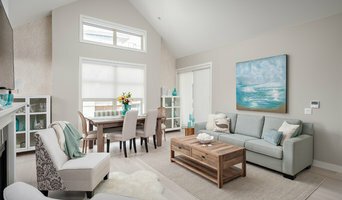 After more than 30 years in the construction and renovation business Kerr Construction and Design continues to provide clientele of the greater Vancouver BC area with high-quality, award-winning renovations and new homes, while consistently developing new ways to deliver the best value to our clients. As expert custom home builders in Vancouver BC, we have all the tools, design talent, knowledge and years of experience for a successful renovation or new home construction. We go out of our way to discover exactly what our clients want, need and expect, and then from concept to completion, Kerr Construction and Design does it all – most importantly, on schedule and on budget. Read our Testimonials and then call for a complimentary, no-obligation consultation on your project. Kerr Construction holds numerous Georgie Awards from B.C.’s premier housing awards program that celebrates excellence in home building, as well as a National Sam Award from the Canadian Home Builders’ Association for the best renovated kitchen in Canada, and of course numerous Best of Houzz awards. We are a Licensed Residential Builder with the Provincial Homeowner Protection Office. (Homeowner Protection Office (HPO) is a provincial Crown agency, a branch of BC Housing. HPO is responsible for licensing residential builders throughout the Province.) Our family of experts are ready to help you bring your dream home to life. Quality is Built - Trust is Earned. Let us show you that Kerr Quality is for life and style. Noor G. V. Interiors is a dynamic Interior Design Firm servicing the greater Vancouver area and beyond! Noor and her team specialize in multi-family developments, residential new-builds and renovations. We bring your visions of a beautiful home to reality! Already have a beautiful home? But can't figure out how to decorate it. Then we are the team to give you that impeccable finishing touch. Personal shopping, selecting home decor and styling items, custom furniture, window treatments, colour and theme productions. We are here to take the stress off of you! 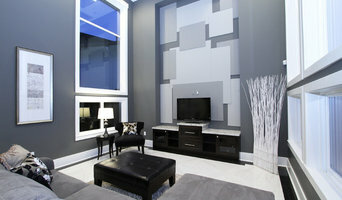 Arden Interiors is a Vancouver based Interior Design Firm, providing comprehensive Interior Design Services. We provide unparalleled customer service. Our clients are the directors of the design. We listen to our client’s needs, respect their budget and strive to deliver functional and beautiful spaces. The developers and contractors that we have had the pleasure of working with note our professionalism and thoroughness. Arden Interiors has extensive experience working with private clients and developers. Our design style is a fusion of classic lines and contemporary design elements to create spaces you just want to spend time in. Our clients and the beauty that surrounds us shape our designs. At Arden Interiors it is our attention to detail, perfectionist nature and excellent organization and time management skills that means that our designs exceed our clients’ expectations. 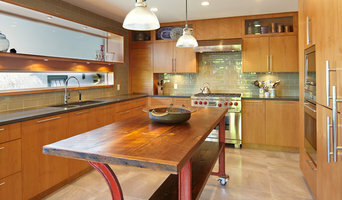 Janet Scagel Design is a leading residential interior design firm on Vancouver’s beautiful North Shore. Our philosophy is simply to provide the highest quality in service, workmanship and materials to create dream homes that reflect the individual nature of each of our clients. We believe that your home should tell a story of who you are and what you love. Our portfolio showcases the diversity of our clients, each one special and unique. Janet Scagel Design is a certified member of the Greater Vancouver Home Builder's Association. 5241 Koksilah Road (at the end of Boal Road)DuncanBCV9L 6V3. David has high expectations - something that his staff knows all too well. He applies those exacting standards to his own design and build process. That fact directly benefits his clients, collaborators, and all who work with him from start to finish. He is also playful. His energy and enthusiasm grow on the ideas and positive initiative of others. He runs his crew like a family - considering each individual and his or her unique talents when assigning them to a project. David respects and practices traditional design and build techniques. He looks to architectural heritage for tried and true methods, but he also keeps one eye fixed on the horizon, constantly craving new technologies and materials that will make his designs more efficient and more affordable. Finally, David Coulson's respect for the interplay between architecture and people means that he listens well and takes very seriously the personal needs of his clients and the functionality of their space. Project Mint Developments Ltd. is a Vancouver based Design-Build practice that strives to deliver exciting and innovative buildings that exceed our clients’ expectations. Project Mint Developments Ltd. partners with Nick Bray Architecture. By integrating design and construction management we are able to provide a complete service that is highly efficient and dependable, considering budget from the outset. We listen to and work for our clients to ensure that all their aspirations are identified and translated into unique and elegant buildings. Project Mint specialises in sustainable design and construction solutions that respond to local context and environment. Passive-house techniques are used to create low-energy buildings which benefit from natural light, fresh air and warmth, whilst being built for longevity. Our space-efficient plans navigate municipal bylaws to maximise allowances. We are proud to have a team of highly skilled and motivated consultants, trades and suppliers. Our associates share our passion to strive to deliver exceptional buildings.